Dr. Heuer grew up in Chicago and completed an undergraduate degree in biomedical engineering from Northwestern University in 1995. After a ten-year career in the medical device industry, she decided to pursue a career change and a doctorate of optometry degree at the UC Berkeley School of Optometry. Her training at UC Berkeley included clinical externships at the Sac State health center where she cared for students and staff on the campus. Dr. Heuer also studied ocular disease while caring for our veterans at the VA Eye Clinics in Reno and Fresno prior to graduating from UC Berkeley in 2009. 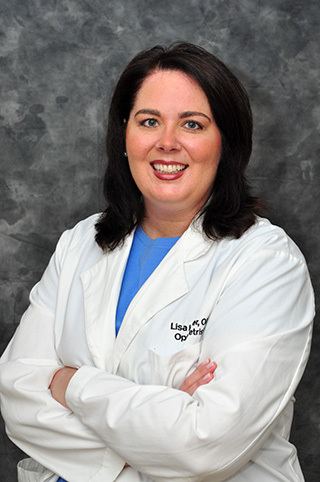 Dr. Heuer loves to perform general exams and contact lens fittings while educating patients and sharing her fascination with our visual system. She is trained to diagnose and manage most ocular conditions including glaucoma, diabetic retinopathy, macular degeneration, and dry eye. Dr. Heuer lives in Davis with her husband, Alex, and their black labrador, Izzie. Her favorite pastimes are hiking, backpacking, and snowshoeing in the Sierra Nevada. © Copyright 2017 Valley Vista Eye Care. All rights reserved.